Recently, a number of Western journals have been trying to persuade readers that Russian President Vladimir Putin’s “war” in Syria is aimed at diverting public attention in Russia from the complex social and economic problems that have been caused by falling oil prices and Western sanctions against Moscow. As for the the operation that allowed thousands of Russian tourists to safely leave Egypt – it is nothing more than a public display of the concern about the safety of Russia’s citizens, they claim. After all, the situation in Egypt is more or less calm, and we are dealing with a direct terrorist attack against Russia. Indeed, the statistical numbers are pretty sad for both Egypt and Russia. According to the Russian Federal Tourism Agency, more than 2 million Russian citizens have visited Egypt this year alone. If these numbers are to be compared with the same period of the previous year, due to the economic crisis the number of Russia’s tourists going abroad decreased by one third, but the decline in the number of visits to Egypt was considerably lower – about 13%. In addition, tour operators expected to receive a nice turnout during the winter holidays, since a total of 250,00 Russians have booked tours to Egypt beforehand. In previous years Russian authorities have repeatedly recommended to tourist agencies to stop selling tours to Egypt. However, this measure has proven to be highly ineffective – hundreds of thousands of Russian citizens arrived in Egypt each month. Now, as it has been announced by Prime Minister Dmitry Medvedev, one “cannot expect” a quick resumption of flights to Egypt. Experts are convinced that this ban can last months or even for years. Back in 2014 Russian tourists brought the Egypt tourist industry its biggest profits – about 2.5 billion dollars. The share of tourism in Egypt’s GDP is estimated to be at the level of 11.3%. The tourism sector provides jobs, both directly and indirectly, to some 3.8 million people. There’s little doubt that this attack can seriously undermine the sitting Egyptian president Abdel Fattah al-Sisi. According to US experts, there’s a chance that he might even be forced to step down. The Washington Institute for Near East Policy has published a report which indicates that the Russian plane crash has struck a severe blow to the reputation of the Egyptian president, and it is likely that he will encounter many political obstacles now because of it. One of the co-authors of the report – a former US Congressman Vin Weber – claims that al-Sisi, “is constantly receiving death threats” and resides every day in a different place. For Russia, his departure as the head of the state might cause extremely negative consequences. After all, Abdel Fattah al-Sisi has become a loyal and extremely reliable ally of Moscow in the Middle East. One must note that in the present situation Vladimir Putin has practically become the only ally of Abdel Fattah el-Sisi, as the Western powers are extremely distrustful of him, while he is often criticized for the tough treatment of local opposition. Some Western experts have even been comparing his internal policy with the one that is being carried out by Bahsar al-Assad. In fact, it’s explainable, since both of these leaders have been fighting international terrorism tooth and nail. It is no coincidence that ISIL has announced that it has a branch of its own in Egypt that goes under the name Wilayah Sayna. The North Sinai has become the center of fierce fighting, where Egyptian army and security forces are clashing with radical Islamists on a daily basis, while suffering severe losses. There’s no easy way to go about it, since we’re speaking about the survival of the al-Sisi regime. Otherwise, the Muslim Brotherhood and its allies that have been heavily sponsored by Qatar all along will inevitably come to power again. The memories of Egypt being a breeding ground for terrorism under the rule of Mohammed Morsi, which Egyptian military command was forced to overthrow with the silent consent of Saudi Arabia and the US. In fact, Egypt’s fate might have been much worse than Syria’s and Iraq’s combined. Despite the fact that immediately after the catastrophe the responsibility for the deaths of Russian tourists was claimed by the local branch of the Islamic State, Cairo and Moscow were reluctant to recognize it as a terrorist attack initially, yet the terrorist nature of this tragic event has been clear all along. For years experts have been raising alarm that the north of the Sinai peninsula has been virtually transformed in a war zone. And now someone, in theory, has to answer for Russian tourists, that are largely unaware of the realities of Middle East politics, who were allowed to be transported across the Sinai Peninsula. 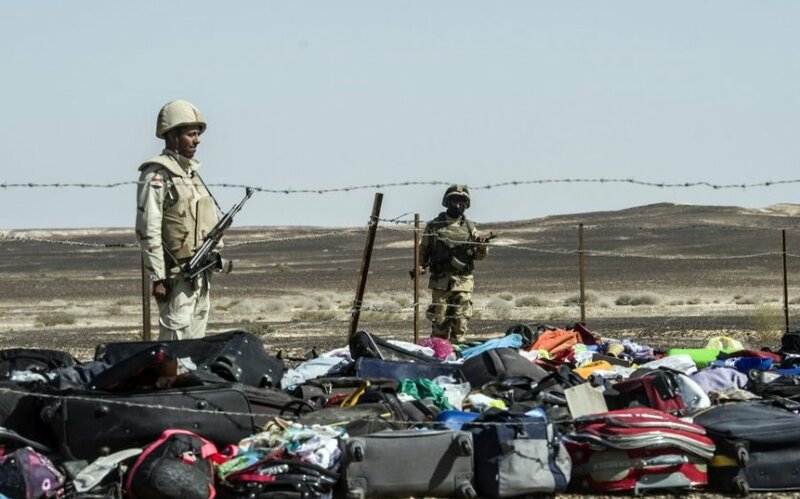 Moreover, the same experts have been stressing the fact that ISIL has pledged to attack the Egyptian tourism industry by destroying a plane traveling from Sharm el-Sheikh. Jihadists could recruit someone at an airport – an employee – or send one of their own “sleeper” agents, waiting for the right time to do his job. Knowing the realities of Egyptian airports, where security services are only pretending to be thorough and tough, it can be assumed that some explosive device could be sneaked in and planted in someone’s luggage there. Or it could be planted in the suitcase of any number of Russian tourists back in their hotel, and then “allowed” to be loaded onto a plane at the airport. But those are possible scenarioes, while the final conclusions, of course, will be made by the investigation team. One cannot downplay the election race started in Egypt back in the middle of October. According to Western analysts, the new parliament will only be approving the decisions made by the president. Al-Sisi’s supporters are united in a coalition called “For the Love of Egypt” and will not face much competition, as the Muslim Brotherhood is still banned due to its terrorist nature. Other parties have not drafted their lists of candidates and will participate in the elections only in the single-member districts. It is believed that the pro-presidential coalition “For the Love of Egypt” that unites right and centrist parties, prominent businessmen, former ministers and former functionaries of Mubarak’s National Democratic Party (NDP) may get two thirds of the seats in the future parliament. There’s a number of influential circles in the United States and the Persian Gulf monarchies that despise the idea of Egypt playing a key role in resolving of the crisis in Syria, regardless of the way this settlement would be achieved – militarily or politically. This role could propel the political ambitions of Egypt, which are aiming for a role as a regional leader. What’s even more curious – this scenario would have well-served the agendas of a majority of countries in the region, including Syria, along with all major players. And then this tragic event happened. The question is – who benefits? 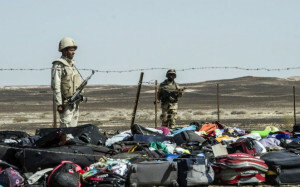 Since Egypt has suffered a much more severe blow in the aftermath of the attack than Russia, as tourists from Russian, UK, and the Netherlands started flowing out of Egypt in droves, while Lufthansa and Air France canceled all their flights to this Arab country. It is clear that Qatar has the most to gain from this attack since it occupies a pretty peculiar positions regarding the situation in Syria and remains extremely dissatisfied with the offset of Muslim Brotherhood from power. The training and the cunning of Qatari special services is well know across the world, and they can carrying out relatively risky operations due to their huge financial capabilities, as it has been shown throughout the conflicts in Libya and Syria. Even now, in spite of the Vienna negotiations on Syria, Doha continues funding Jabhat al-Nusra – the most brutal terrorist organization in Syria. And why should the British MI6 be involved in all this? Everyone that knows history well knows that Qatar existed as a British protectorate – therefore all of Doha’s steps are being made in agreement with London’s position, or in accordance with the ambitions of UK politicians. And it’s really strange that the UK Prime Minister David Cameron called Russia’s leader after the attack to inform him about “some details”. A historical face-off between England and Russia is centuries old. Additionally, Britain is a master tactician, especially in the Middle East. It’s no coincidence that Abdel Fattah el-Sisi made a trip to Sharm el-Sheikh on November 11 and addressed Russian tourists in a statement. He understands that the catastrophe is a blatant provocation against his country and Russia. After all, he who “controls” Egypt has all the weight in the Middle East. Arabs say: Damascus – is the heart of the Arab world, while Cairo is its head.